Yep, it’s another foodie pic from last weekend in the kitchen. I love to cook more in the winter season, and I probably have the pounds to show for it. There’s nothing like comfort food on a cold day. 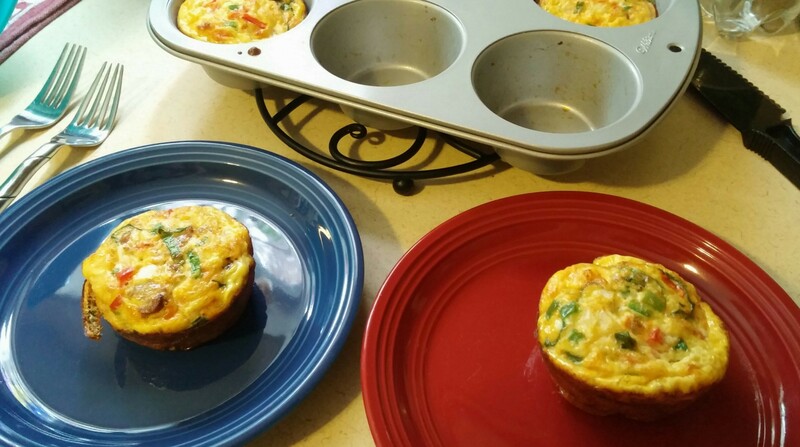 These are my breakfast frittatas or little quiche if you prefer that. Pretty simple really…just eggs, sausage, spinach, onion, peppers, and salsa. They taste better the next day. I had two for lunch on Monday!